I had the occasion to spend a long weekend in Budapest, thoroughly enjoying it. But I had seen about as much of the city as I intended and had a day available to venture somewhere further afield. 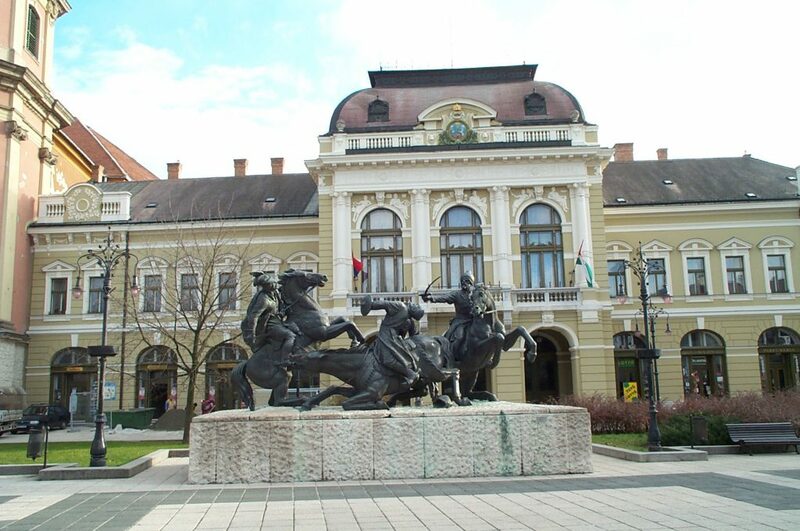 I asked the concierges at my hotel where to go, and their unanimous recommendation was Eger, located in the eastern part of Hungary about a two hour train ride away. And so I went for a day trip. 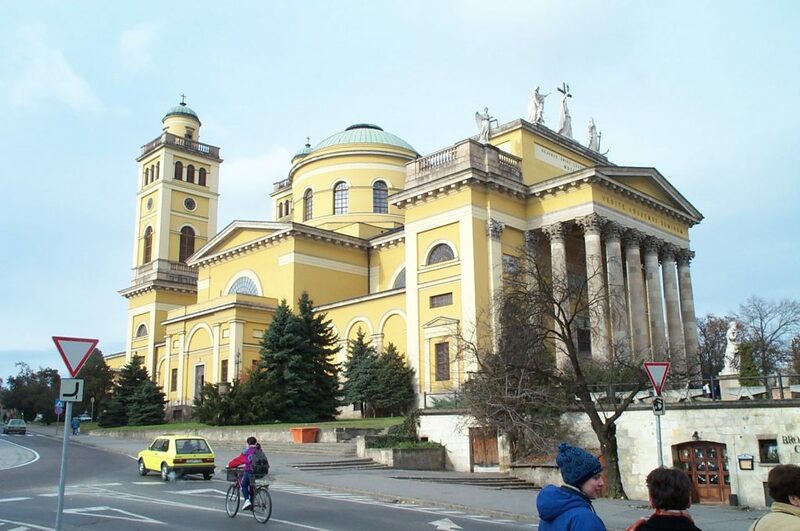 Eger sits in the foothills of the Carpathian mountain range. Like Szentendre, Eger has a lot of religious diversity, but while the former has a wide array of small churches, Eger went big. The largest is the yellow structure in the background, St. Stephen’s Basilica, pictured in full below. The square you see in the top picture is part of the main pedestrian area — among the largest in Hungary (second only to Budapest). Eger has more than 150 protected historical buildings and structures in the town center, all very well preserved. The largest, and most prominent of these structures is Eger Castle (from where the picture below was taken). 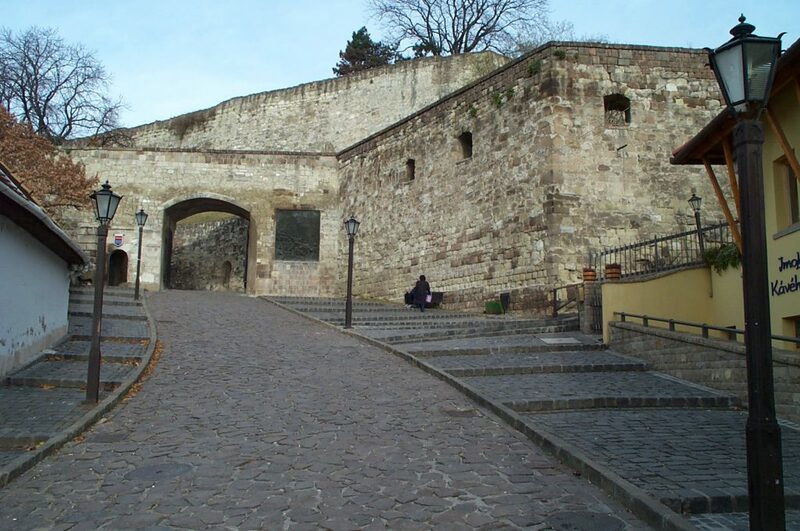 Eger Castle was built in the 13th Century, and is the size of a city block, and had much to see. There are four separate museums scattered throughout the complex, including a Hungarian art museum, history museum, wax museum, and hall of sculptures. The history museum was the most interesting. I learned that the city and its castle was was the site of a key battle against Ottoman Turk occupation. The Battle of Eger in 1552 saw a small Eger Army defeat a much larger Ottoman force. This battle was one of several military actions that whittled away at Turkish dominion over central Europe. The other museums were wonderful as well. Meanwhile outswide, the base of the old Cathedral sat at one corner, and the battlements were still largely intact. Plus, the view of the city was fantastic (the second photo was taken from the wall shown in the third photo below). Wine lovers might be interested in the wine cellar, shown below. 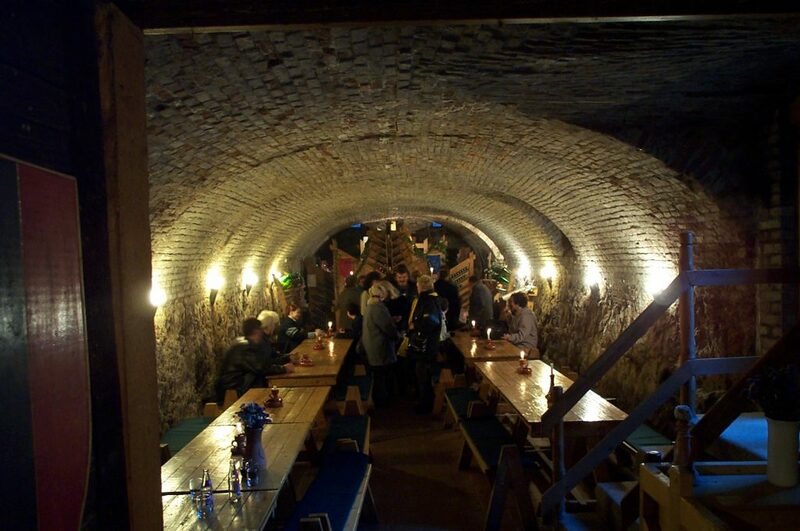 The cellar is in the middle of the Castle grounds, and for only twenty US cents a taste, visitors can sample many of the region’s finest wines. In fact, I suspect many people are unaware of how good Hungarian wine is, but for some it is probably an acquired taste. I found Hungarian wines to be extra heavy and robust, like a Chianti perhaps, only thicker. “Bull’s Blood” is the region’s primary specialty while Tokaji, a famed Hungarian dessert wine, is produced nearby further to the northeast. The final photo shows the City Hall in the main city square, which is also seen from the panoramic shot of the city above. Since this was a Sunday in November, Eger was relatively quiet, but I was told that during the summer and fall the town would be filled with tourists enjoying the tremendous scenery, history, and of course wine. 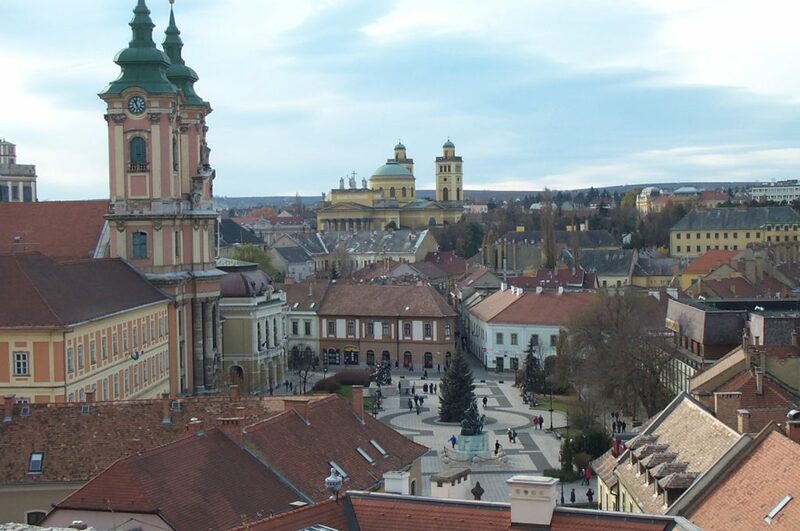 Eger is a must-do excursion for visitors to Hungary. It is beautiful, historical, and entertaining. Should I ever have the occasion to venture back to this wonderful country (and it isn’t late fall), I would love to spend more time here.